Welcome to Altering Images Beauty Therapy Clinic Glenfield – North Shore. Looking for experience and professionalism in your Beauty Therapist? 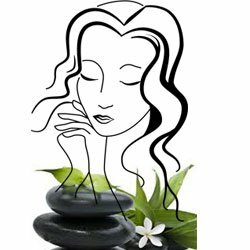 Our therapist, Cheryl offers a full range of beauty therapy treatments to choose from. Our beauty therapy clinic offers range of services including a selection of relaxing de-stressing facials, lash and brow tinting and lash perming; all designed to give you those luscious glamour eyes. We provide manicures and pedicures to make your hands and feet feel amazing. Our relaxing massages are either 1/2hr or 1hr of magic. Those of you who remember we were in Takapuna for many years, you may be looking to visit us again. Therefore we are letting you know we moved in 2014, and now re-opened in a new premises in Hale Crescent, Glenfield. 1/13 Hale Crescent, Bayview, GLENFIELD, North Shore, Auckland 0629. Please telephone 443 4678 for all beauty appointments and enquiries during opening hours. Monday to Wednesday 9am – 7pm. Thursday Friday 9am to 6pm. We can put together a package for you as a gift. We can help you select what would suit the recipient to give them an experience not to be forgotten. These vouchers are ideal for birthday and special presents. View our prices page then feel free to give us a phone call or pop in or alternatively visit our Gift Vouchers page to purchase . Please note we only accept cheque, Internet Banking, or cash at Altering Images premises, as we do not have EftPos. tip 3# How important is removing your make up? Very! Copyright © 2019 Altering Images All Rights Reserved.